Visiting the Christmas markets of Europe is a great way to pick up some Christmas shopping bargains whilst grabbing some Christmas cheer and spirit along the way too in some of the most beautiful cities in the world. Visit Munich for some of the oldest and best Christmas markets in Europe. The Christmas markets are held daily between 25 November and 24 December where you’ll find festive gifts, decorations and typical Bavarian food and drink. You’ll be amazed by the bright lights and smells of delicious fare on sale on the market stalls located in the shadow of the wonderful Rathaus building. Come to Bruges for a Christmas market that offers all the traditional gifts you would expect, all set in a festive atmosphere of bright lights and tempting aromas. Visit this beautiful old city where the festival stalls are set amongst a backdrop of cobbled streets and historic buildings. Browse for Belgian chocolates, wooden toys and other jolly gifts before relaxing in a bar as you sample a local beer. Copenhagen’s main Christmas markets are hosted in Tivoli Gardens, the city’s amusement park. In the land of Hans Christian Andersen you will find a Christmas market that is just as magical, with hundreds of Christmas trees and half a million lights illuminating the festive stalls and surrounding park. Browse for traditional gifts like Copenhagen porcelain or wooden dolls as well as local arts, crafts and decorations. The largest Christmas market in Helsinki is held at the Vanha Ylioppilastalo (old student house) where you’ll find local delights including fried herring, mulled wine and tempting pastries. There’s also the Ladies’ Christmas Market with gifts that are all made and sold by women, and St Thomas Christmas Market held at Esplanade Park where you can buy baked goods and other specialities. 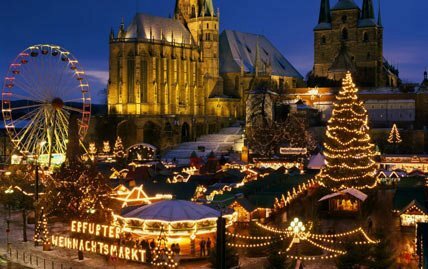 Offering six Christmas markets, the German city of Cologne attracts almost two million visitors every year. The most impressive is at the Cologne Cathedral due to its imposing backdrop, whilst the oldest is at the Neumarkt, the city’s shopping area. Stalls offer a vast selection of festive goods including arts and crafts, Christmas tree decorations and handmade candles. Krakow Christmas market is centred on the city’s huge market square, the Rynek Glowny. Poland’s most beautiful city offers fantastic value and you can pick up some real festive bargains. Take your pick from the handmade Christmas decorations, jewellery and woollen slippers on offer. For New Year’s Eve, Krakow’s entire Old Town historical district turns into one giant ballroom. Thousands of revellers swarm its huge Grand Square and pack into the area’s countless clubs, cafes and restaurants. 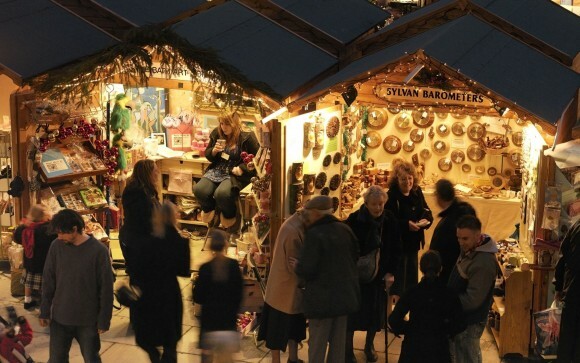 The largest and most popular Christmas market in Prague is located in the central square of the Old Town. Between this Christmas market and the one on Wenceslas Square there are about 100 festive market stalls for you to visit. 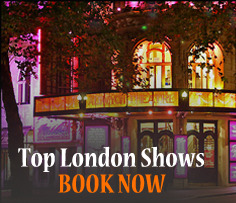 As well as the sparkling rows of decorated stalls you’ll find Christmas concerts and short plays on an open-air stage. A live nativity scene with donkeys, sheep and goats completes the festive setting. The Christkindlmarkt on the Town Hall square is Vienna’s famous Christmas market. 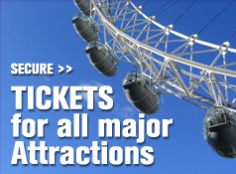 It is one of the best-known and most visited in all of Europe and when you come you’ll soon see why. It is an unforgettable experience where you’ll be delighted by the smells of spiced fruits, sweets, mulled wine and roasted chestnuts that float around the traditional market stalls. There’s nothing quite like a Christmas shopping trip in New York City and New Yorkers really like to push the boat out at this time of winter with all of their ‘flagship’ stores such as Macy’s, Bloomingdales, Tiffany and Co’s & Barneys New York going to great lengths to come up with the most beautiful window displays. Take a walk down the famous 5th Avenue to see the best. Paris boasts some of the world’s most breathtaking department stores, where visitors can browse the latest trends in designer fashion such as Dior and Chanel, browse gourmet food shops, or attend free fashion shows. The Paris department stores are not only shopping shrines, but also architectural treasures, as all are beautifully sculpted and eye catching. Posted on September 14, 2012, in Bruges Christmas Markets, christmas markets, Christmas Tours, Cologne Christmas Markets, Copenhagen Christmas Markets, Day Trips from London, Munich Christmas Markets, Prague Christmas Markets, Things to see and do, Travel Tips. Bookmark the permalink. Leave a comment.